Glen Foerd on the Delaware is a historic and widely recognizable estate located in the Torresdale neighborhood of Philadelphia. This eloquent mansion serves as a historical landmark in the Philadelphia area and is a popular destination for newlyweds to celebrate their special day. 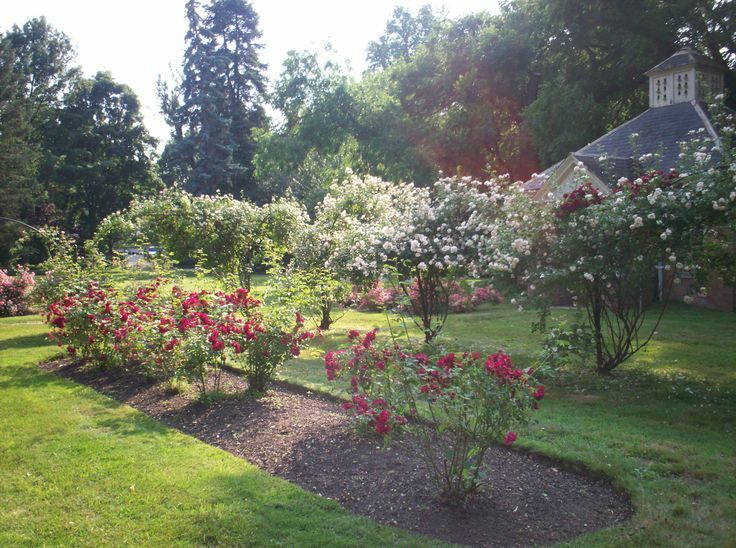 With eighteen acres of rare and stunning scenery lies the formal rose garden. Northeast Fence & Iron Works jumped at the opportunity when news arrived that a new fence was needed for the garden. Northeast Fence has long been an advocate for providing their services to better the community and serve as a benefactor to perform humanitarian projects. What could better compliment a beautiful rose garden dating back 300 years than a rustic, post and rail wood fence? Northeast Fence decided to foot the bill of $3,200 to install the alluring new fence, doing their part in contributing to this historical landmark. Don’t overlook this luxurious mansion when shopping around for venues for that special day. 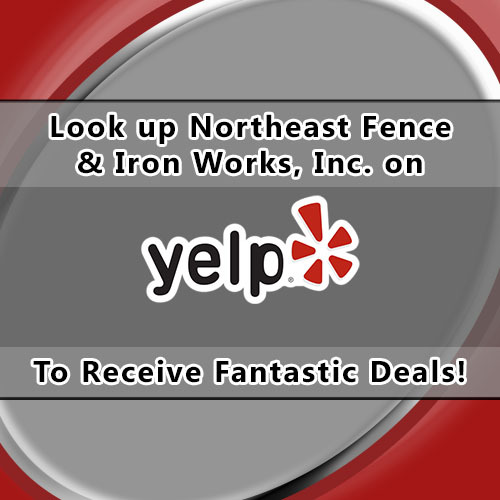 Visit Northeast Fence & Iron Works, Inc. on Yelp to Receive Amazing Deals and Savings! Come visit Northeast Fence & Iron Works, Inc. on Yelp (https://www.yelp.com/biz/northeast-fence-and-iron-works-philadelphia) and check in at our showroom located at 8451 Hegerman St Philadelphia, PA 19136 to receive 10% off a purchase on materials of $100 or more! We are also offering a voucher of $100 for $150 value! That’s $50 savings that we want you to take advantage of! Don’t miss out on these great deals and offers. 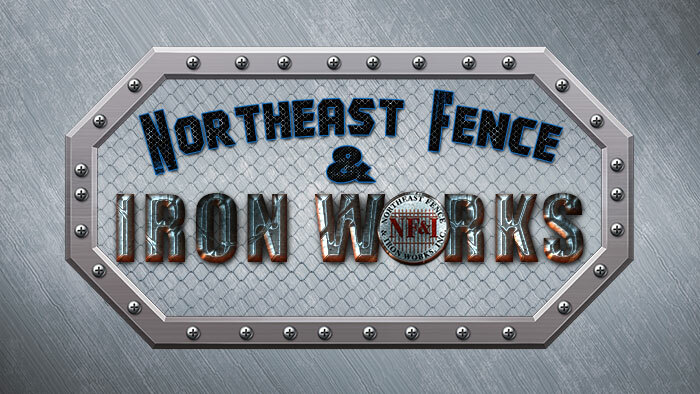 Come and hang out with Northeast Fence & Iron Works this weekend at the GSAFA trade show! On Friday, March 3 and Saturday, March 4 the trade show will be held at Harrah’s Resort in Atlantic City, NJ. 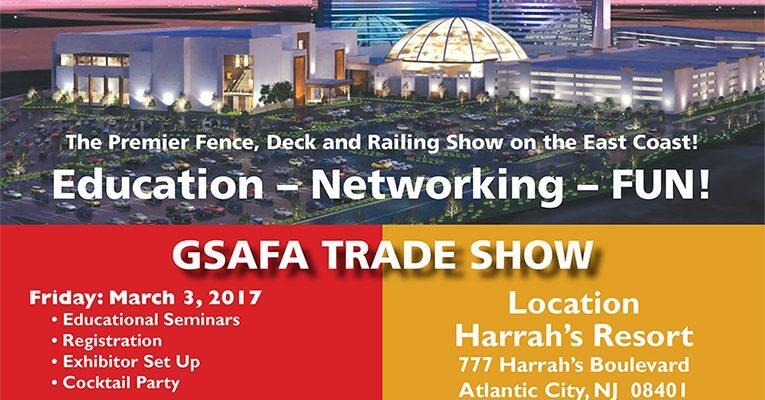 The show is a great educational and networking opportunity for all fence, deck, and railing products. ON-LINE Registration is now CLOSED but you can still register ON-SITE on Friday and Saturday. Go to www.gsafa.org for more information and a full itinerary! Receive Discounts for County Goods & Services. Northeast Fence & Iron Works, Inc proudly accepts the Veterans’ Photo ID Discount Card. 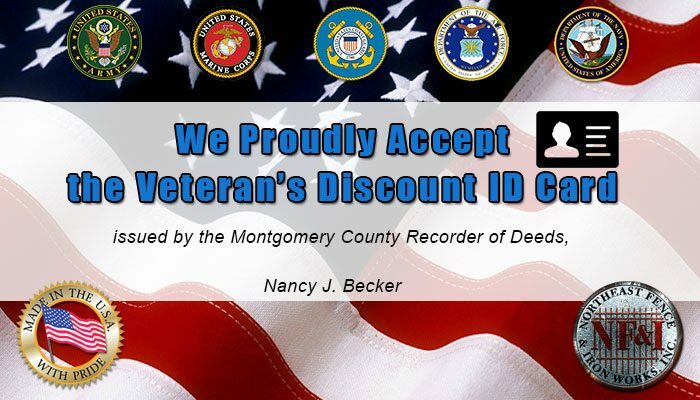 The Montgomery County recorder of deeds is providing veterans with photo ID cards and a program to receive discounts for goods and services from participating county merchants. Veterans will be able to present these cards to Montgomery County businesses who have agreed to provide a discount to Montgomery County veterans in appreciation for the veterans’ service to our country. 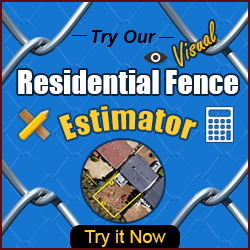 Northeast Fence & Iron Works, Inc. is proud to announce the addition of our new Miscellaneous Metals Division as well as introduce you to our new estimator, Ben Oostdam. structural steel industry. He began his career as a detailer, which led to estimating, which he has been doing ever since. A few of his high profile awarded projects include the 120 ton 9/11 Memorial and Empty Skyand stainless steel structure for Hall Construction in New Jersey, the 13,000 ton Dulles Monorail Phase I project for the Dulles Transit Partners, and the North Shore Connector for the Pittsburgh Port Authority for Whiting-Turner Construction. As the Estimator for our Miscellaneous Metals Division, Ben will be responsible for contractor/client and fabrication shop coordination throughout the metals construction process. Ben will also be handling the bid requests for Northeast Fence & Iron Works, Inc. and the pursuit of new opportunities. 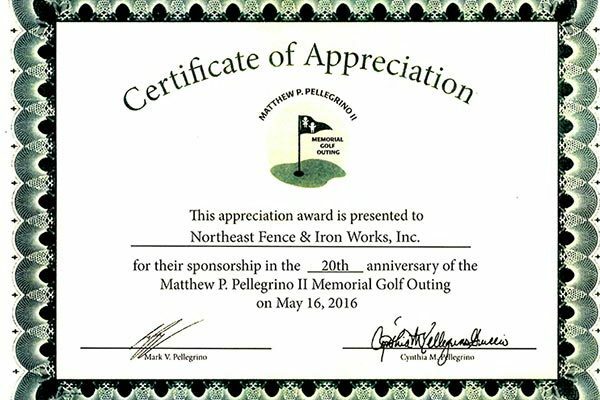 Northeast Fence and Iron Works recently received a certificate of appreciation for their sponsorship in the 20th anniversary of the Matthew P. Pellegrino II Memorial Golf Outing on May 16, 2016. After months of hard work, NF&I is delighted to officially announce the launch of our newly designed website which went live on June 15, 2016. Same website address but an entirely new and improved website to better serve our partners, clients, customers, and vendors. 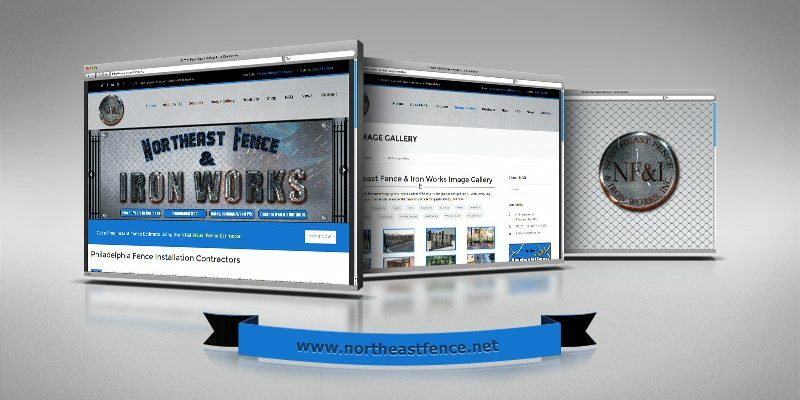 Our main goal going forward with our new website is to provide our customers/visitors with an easier way to learn about Northeast Fence & Iron Works, our products, and services. The new website is interactive, informative, and provides many ways to communicate with us via traditional method as well as social media. Our current and prospective clients will find useful information about our products and services including recent and past projects. Amongst the new website features the site contains integrated social media buttons for Facebook, Twitter, Youtube, and Pinterest. We will be constantly updating our new website with quality content such as helpful information, articles, blogs, announcements, testimonials, images, and more. We hope you find the new website fresh and modern; we worked hard to make sure it contains valuable information, easy navigation, and more ways to interact with NF&I. For any questions, suggestions,or comments, please E-mail us. 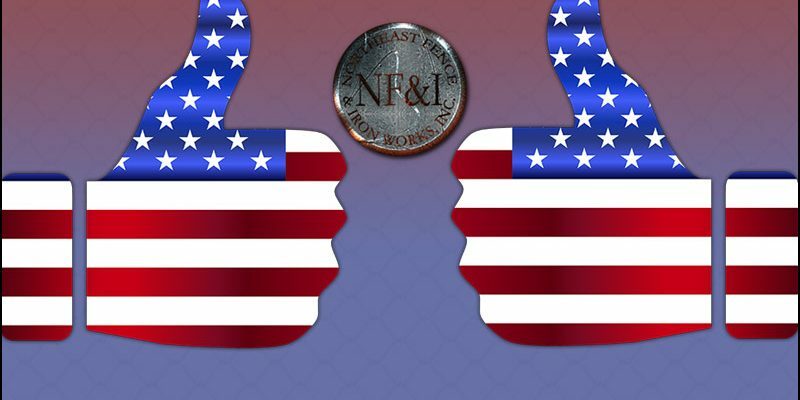 As the largest fencing contractor in Philadelphia for over 40 years, Northeast Fence and Iron Works is proud to be American made. Our products are fully manufactured and assembled in the USA, we manufacture our own line of tubular picket fencing (Westmoreland II) as well as in-house powder coating to assure fast turnaround. Westmoreland is proud to introduce the new Westmoreland 2 line of tubular steel fencing. 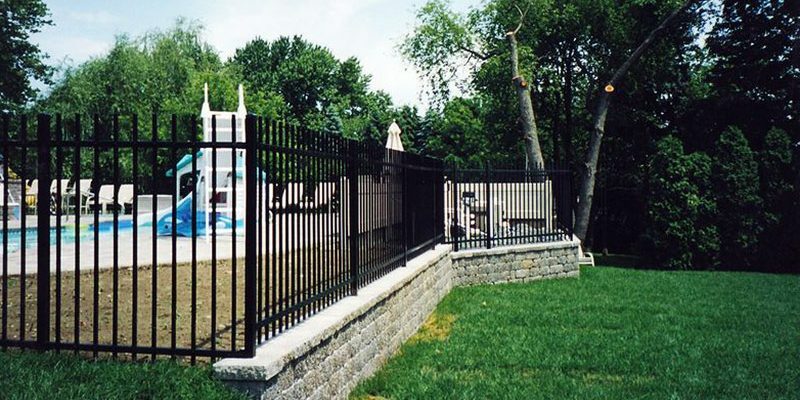 Westmoreland ornamental steel fence has been used in the fence industry for over 40 years. © 2016-2017, Northeast Fence & Iron Works, Inc. All rights reserved. 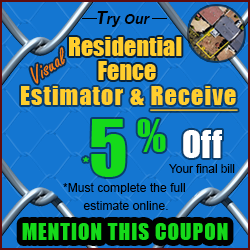 Local Philadelphia fence contractors & fence installation experts.